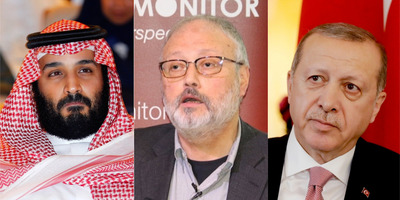 Turkish President Recep Tayyip Erdogan on Friday said Saudi journalist Jamal Khashoggi’s killing was ordered at the “highest levels” of the Saudi government and is calling on Riyadh to be more cooperative moving forward. Erdogan went on to accuse Saudi officials of continuing to “cover up the murder,” decrying the Saudi public prosecutor for refusing to “cooperate with the investigation and answer even simple questions” during a recent visit to Istanbul. The Turkish leader is correct the Saudis have not provided answers to basic aspects of the case, such as where Khashoggi’s body is. The Saudis have shifted their narrative on Khashoggi’s killing multiple times, but recently admitted it was premeditated. With that said, they have not revealed who ordered the killing. The Turkish leader in his op-ed for The Post claimed his government has “moved heaven and earth to shed light on all aspects of this case.” Based on the limited details Turkey has officially released and the lack of an independent investigation, this is a bold statement.